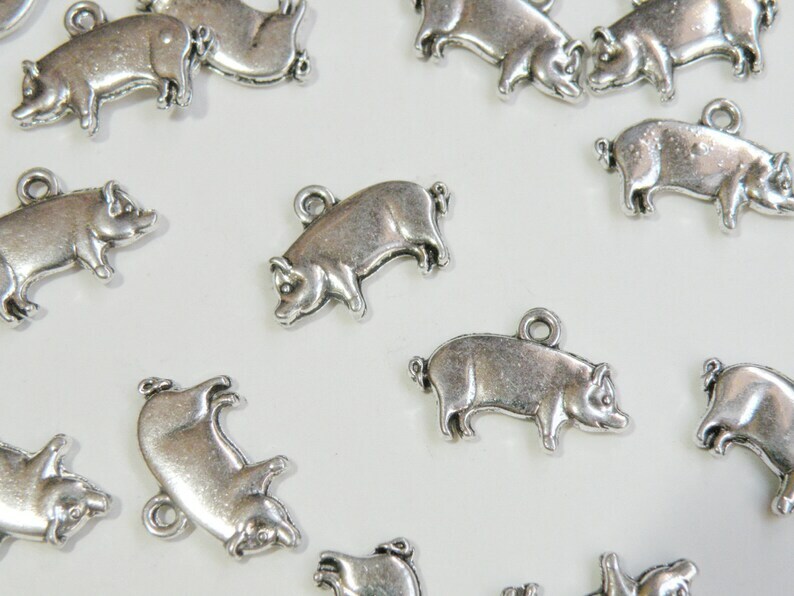 Pig Hog charms in antique silver lead and Cadmium free zinc alloy 13x20mm with design on both side. Great for Chinese New Year - Year of the Pig celebrations. Years of the Pig: 2007, 1995, 1983, 1971, 1959, 1947, 1935 & 1923. Next Year of the Pig is 2019. Very cute and nicely polished. Delivered very quickly. cute charms and fast shipping!